The chilly temperatures in the Hamptons has us thinking about where to escape to for a weekend getaway. Take a quick flight to Miami and enjoy the 80 degree weather, beautiful beaches and our favorite restaurant, SUGARCANE Raw Bar Grill. The globally inspired small plates come from three kitchens – an open fire grill, raw bar and traditional kitchen – overseen by award-winning Chef Partner Timon Balloo, you can’t go wrong with the king crab legs from the raw bar and the Japanese eggplant from the grill. As the culinary heart of SUGARCANE raw bar grill, Executive Chef and Partner Timon Balloo draws from his broad range of influences and experiences to bring bold, global flavors to every dish on the menu. From his own Chinese, Indian-Trinidadian heritage to his classic European training, to the diverse kitchens in which he built his career, each step along the way has led Balloo to become the chef he is today. 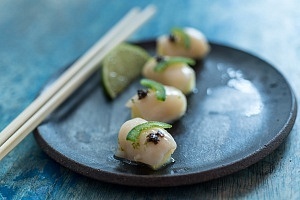 Since digging its gastronomic roots into the Miami dining scene in 2010, the restaurant has become a favorite synonymous with casual cool and innovative cuisine. The restaurant has received numerous awards including “Best New Restaurant” semi-finalist by the James Beard Foundation and “Best Restaurant” by Johnson & Wales. 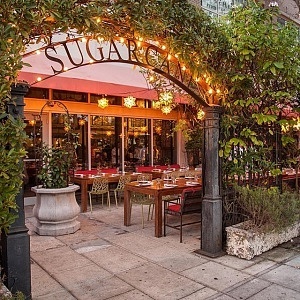 If you’re not in Miami, check out SUGARCANE raw bar grill’s new location in New York City at 55 Water Street, Brooklyn. Book your reservation in Miami here or call directly at 786.369.0353; 3252 Northeast First Avenue, Miami.